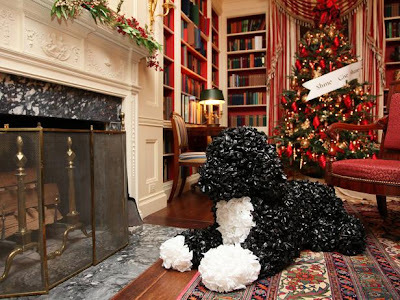 Photo credit: HGTV "White House Christmas"
Every year, I watch the show "White House Christmas" on HGTV where they give an up close look at the holiday decorations in the White House. Everything always looks so beautiful that I wish I could see it in person. Well, this year, some Pinterest followers will see the House White holiday decorations in person. The White House just launched an account on Pinterest and to celebrate, they have having a lottery to invite some of their new Pinterest followers to a Holiday Social at the White House. 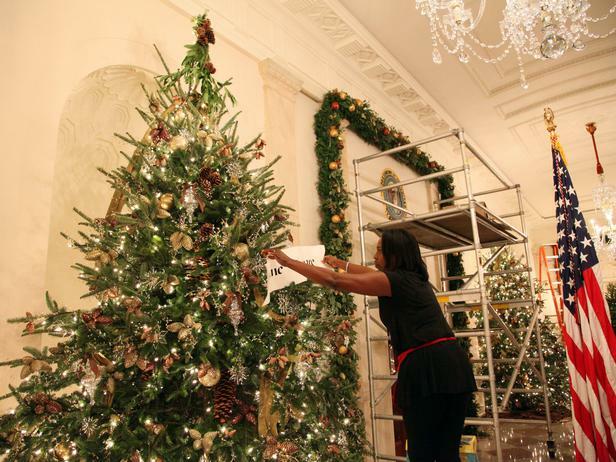 If you have a flexible schedule and can be in Washington D.C. on December 17th (on your own dime), apply here to be invited to the 2012 Holiday Social at the White House. The deadline to apply is Sunday, December 9th. The lucky Pinterest followers who will get invites will be notified by Monday, December 10.